$7Send one package of books. $28Send four packages of books. $70Send ten packages! Each contains books & a personal note from one of our volunteers. Every month we get thousands of letters from prisoners – all seeking connection, enrollment in our education programs, and packages of books. 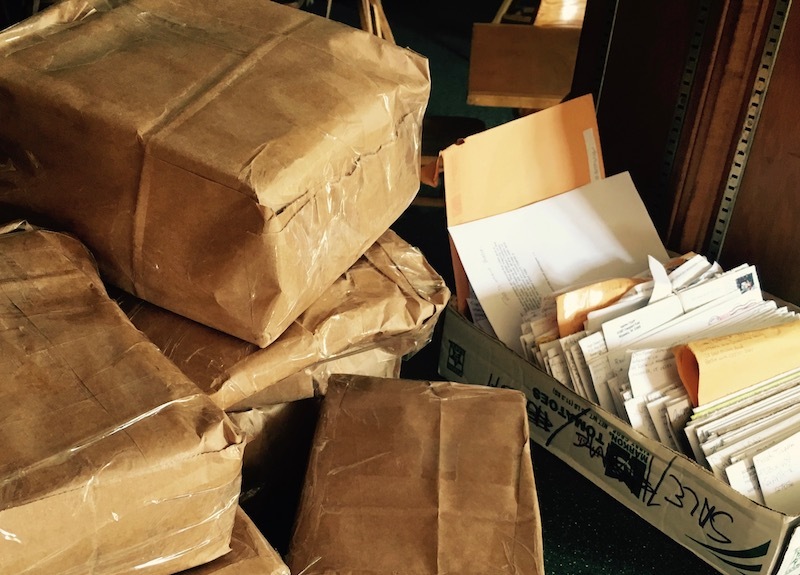 Sending the books is the most expensive part of our program – and that's why we need your help to pay for postage. Please contribute right now to help us send these packages and continue to correspond through the programs at Prisoner Express. Right now we have hundreds of packages stacked up and ready to be sent to prisoners. Each is carefully packaged by our volunteers based on the materials requested. Also, each packages has a personal hand written note. This program is volunteer run, and built from the ground up – so every dollar has an immediate impact. Prisoner Express is a project of the Center for Transformative Action, a 501(c)3 nonprofit organization, which accepts all funds on our behalf. If you're writing a check, please make it out to the CENTER FOR TRANSFORMATIVE ACTION, with Prisoner Express in the memo line.” (Having a check made out to CTA/PE is also acceptable).